Mountain Gorilla Review The most positive aspect of this documentary is that it seems that mankind has noticed the plight of the mountain gorillas and their population is ever so slightly growing. 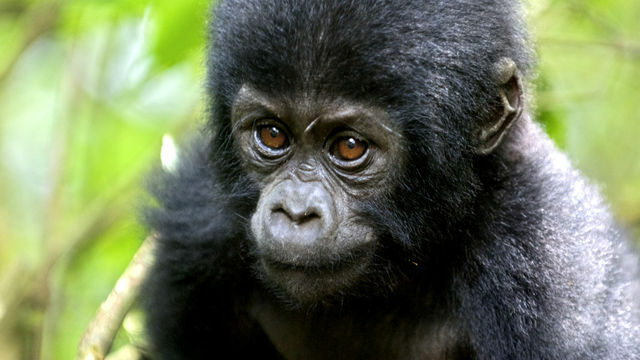 This engaging documentary is not only insightful but also rather depressing as these mountain gorillas who live in a secluded forest that straddle the Congo, Rwanda and Uganda are on the verge of extinction. It's hard to believe that the existence of these mountain gorillas were unknown to the majority of the world more than a century ago, however as mankind continues its dominance of the planet, we now hold their lives in our hands. 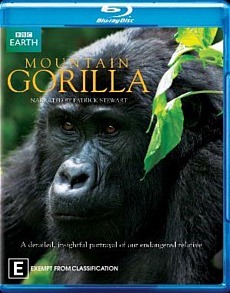 This Blu-ray documentary by BBC Earth collects all episodes of Mountain Gorillas that include Kingdom in the Clouds, Last Stand of the Silverback King & Safe in our Hands. With only 700 mountain gorillas living in this region, the documentary follows a dedicated group of conservationists as they attempt to not only study these amazing creatures but also raise awareness to the world of their plight. Using state of the art technology, the viewer is given a unique snapshot of their lives and through archival footage and interviews with key individuals, it helps piece together the story of these gentle giants. Gorillas like humans revolve around families and extended families that this documentary highlights such as one male gorilla who is forced to look after his child. Unfortunately they are also susceptible to human diseases as well. The foremother of these mountain gorillas was Diane Fossey and even after her passing, it's good to see that others have taken up her torch. Not only is their secluded forest beautiful but it has some very real dangers to it. From civil wars to dangerous traps in their bamboo feeding grounds to the ever approaching population push from mankind, not only is this documentary quite fascinating to watch but it will also have you glued to your screen. By watching these gorillas, it's like watching ourselves as young gorillas play like children and teenage gorillas become rebellious and challenge the older apes in their troop. The biggest surprise in this documentary for me was how close these gorillas allow humans to get. One of the episodes follows one of the original gorillas that Fossey had studied and from old to young, all facets of these amazing creatures are covered. In terms of being close to these gorillas, Fossey was also the one who used habituation to allow humans to get close to them by getting use to their present. It's also quite emotional to see some of the gorillas harmed by poachers and the mercenaries who roam this region. The documentary will bring mixed emotions out from joy to anger and everything in between. With amazing cinematography, Mountain Gorillas is a must watch documentary that looks amazing on Blu-ray with some otherworldly clarity. At times, it's almost like you are part of the film crew and seeing these apes close up is quite remarkable. Narrated by Patrick Stewart, he lends a perfect embodiment to the documentary that portrays an air of nobility. As with most documentaries, there are no special features included in this release. 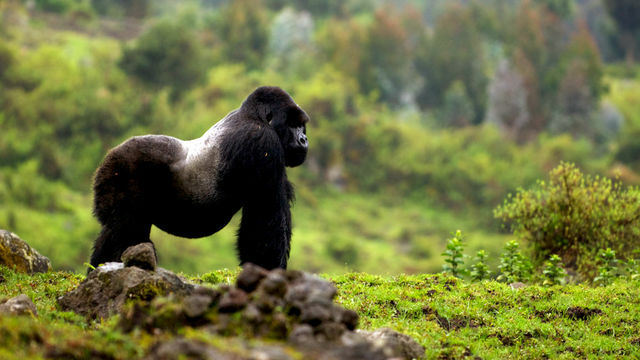 In conclusion, Mountain Gorillas involves all facets of the lives of these gorillas and even the hierarchy of the troops with some great focuses on certain gorillas. The most positive aspect of this documentary is that it seems that mankind has noticed the plight of the mountain gorillas and their population is ever so slightly growing. This is one documentary that everyone should watch.